Riverwalk Cafe has won the Best Education/Training Initiative at the 2019 All Ireland Community & Council Awards. 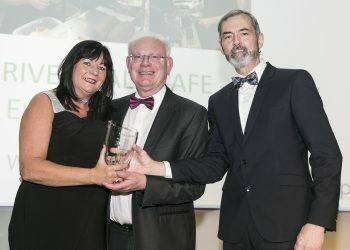 The training cafe, located in the Wicklow Enterprise Park, received the award for its Culinary Entrepreneurship Programme. 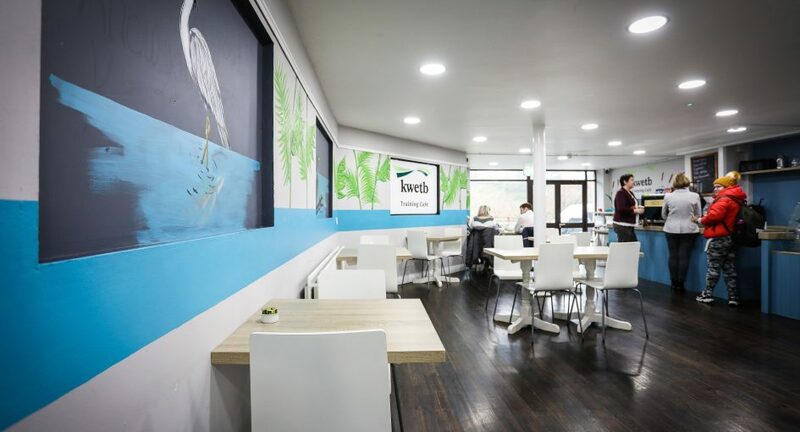 The cafe is run as part of the Kildare and Wicklow Education and Training Board’s training centre, situated across the street in Marine House. The course seeks to give students a practical, real-world experience of working in a busy cafe open to the public. Eileen Cullen being presented with the Best Education/Training Initiative award for Riverwalk Cafe. Credit: Paul Sherwood. The award is a validation of KWETB’s decision to open the centre in Wicklow. The facility also received a nomination and shortlisting in the Best Educational Building category, narrowly losing out to colleagues in Cavan/Mongahan ETB. 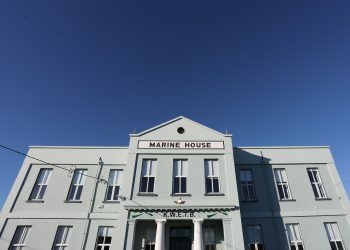 Marine House, a landmark building located on the Murrough, underwent an extensive makeover in 2017, reopening as a culinary and hospitality training centre for jobseekers and entrepreneurs. It now hosts a number of free, full-time courses including Barista & Café Skills, Food Science, and National Tour Guiding. The All Ireland Community & Council Awards, now in its 13th year, is an annual ceremony which highlights projects undertaken between communities and councils. KWETB is currently taking applications for the next intake in its Culinary Entrepreneurship Programme in Wicklow Town, as well as a café programme in Arklow. To express your interest, email [email protected] or phone 0404 53958.